While assessing that Kim’s visit will not bring direct changes to the regional security issues, Shen said North Korea will continue to be a part of the long-term balance of power among various players in Northeast Asia. “It shows that North Korea is still a trump card of China despite their relation’s ups and downs, and when hawks of China need to show off their muscle the North Korea regime could become useful,” he said. The Hu leadership realizes China’s refusal to condemn North Korea over the Cheonan incident has been detrimental to China’s international image, Lam said, adding that Beijing at this stage doesn’t want to be seen as being too close to Kim. Beijing has claimed that the South Korea-U.S. drills would aggravate tensions on the Korean Peninsula and threaten China’s security, but Seoul and Washington say the drills are defense-oriented and aimed at North Korea. 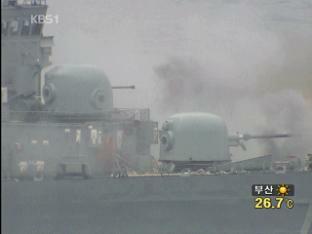 By Steve Herman, VOA, 30 Aug., Seoul. Many North Korea analysts expect Kim Jong Il’s third son, Kim Jong Un, who is believed to be about 27 years old, will be among those gaining a party Central Committee post. His father was given high party posts at about the same age and was groomed for decades to take control of the country. North Korea has cultivated a personality cult around its first leader, Kim Il Sung, who is called the Eternal President, and its current leader. North Korea scholars say it appears likely Kim Jong Il hopes to make sure his son builds support and power within the elite and military to ensure a smooth succession. A senior research fellow at the Korea Institute for National Unification in Seoul, Park Hyeong Jung, says the son might be named to oversee the “organization and guidance” department under the Secretariat. Park says such a position would allow Kim Jong Un to make his own appointments, giving him an independent power base. Park explains the younger Kim would then be able to examine and criticize every organization within the party, effectively allowing him to monitor and control the actions of the elite. But Balbina Hwang, a visiting professor at the U.S. National Defense University, thinks what emerges from the conference may not meet the expectations of outside analysts. “I don’t think we’ll be satisfied with the outcome, meaning that, I don’t think, they will necessarily make an announcement stating Kim Jong Un or specifying a specific position or title,” she states. She has little doubt Kim Jong Il is calling the shots, although Hwang predicts that before the son is firmly in power there will likely be some literal “bloodletting.” “There will be internal contestation over his legitimacy as the next ruler,” Hwang says, “It’s my personal belief that it is a done deal, in terms of what Kim Jong Il wants. And it is what Kim Jong Il is working very hard towards establishing.” She says the political jockeying as the son establishes his power could lead to purges and some executions among the North Korean elite. Balbina Hwang says moving the spotlight in Pyongyang back to the party is significant. “The fact that they seem to be shifting the center of power, possibly, away from the National Defense Commission and the military and toward the Workers Party signifies, I think, that there is a very substantial succession and transition underway, institutionally,” she said. 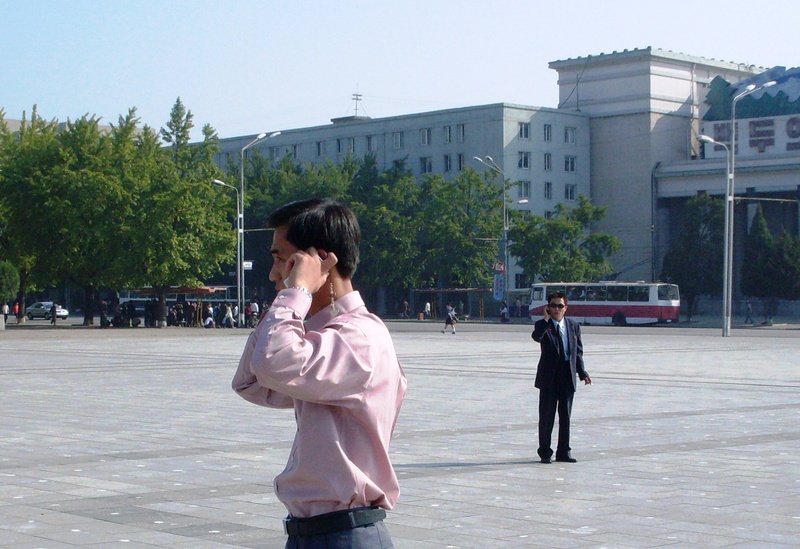 Many North Korea watchers think time is running short for the country’s absolute ruler. At the age of 68, he appears to be suffering from mounting health problems, and suffered a stroke two years ago. That may have weakened his decision-making abilities in a country facing severe challenges: an economy near collapse, food shortages, tough international sanctions and, except for China, no significant remaining allies. On Thursday, the first day of his visit, Kim went to Yuwen Middle School in Jilin city of the province, where his father, North Korean founder Kim Il-sung, went to school in the 1920s, Reuters reported. 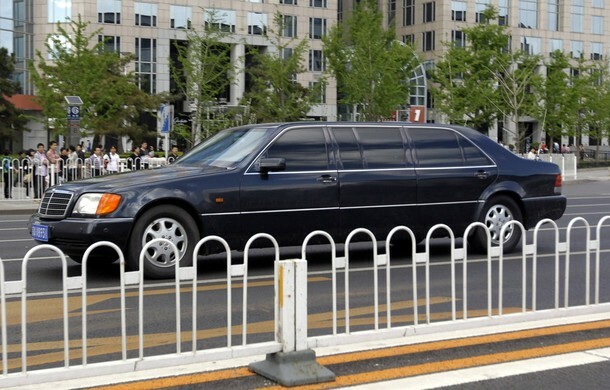 The Chosun Ilbo newspaper and Yonhap both reported that Kim was believed to have met President Hu in Changchun on Friday. On Saturday, Kim toured an agriculture exhibition site and Jilin Agricultural University in Changchun, Yonhap said. Speculation also persisted on the aim of Kim’s visit, which was believed to be related to power succession, perhaps to introduce his youngest son, Kim Jong-un, to Chinese leaders. Reuters cited an unidentified source as saying Kim Jong-il was accompanied by his youngest son in the trip to seek Beijing’s approval of plans for his son to eventually succeed him. Kim’s visit came at the time when North Korea has expressed a willingness to return to the Six-Party Talks on denuclearization of the Korean peninsula, which have been stalled since 2008. It also came as a surprise, especially as it coincided with a visit to Pyongyang by former US president Jimmy Carter, who returned home Friday with an American, Aijalon Mahli Gomes, who was sentenced in April to eight years in a North Korean prison for entering the country illegally. Lü Chao, director of the North and South Korea Research Center at the Liaoning Academy of Social Sciences, expressed his surprise about Kim’s missing of a meeting with Carter. “Carter has a good reputation in North Korea. Kim has met him before. But perhaps Kim missed this meeting on purpose to show his toughness and send a message that it will not bow to US pressure after a series of military drills between the US and South Korea,” he said. Editorials in South Korea media expressed concern about Kim’s visit, fearing China may back the North and go against the South. But Lü called this “a distortion of Chinese foreign policy.” “Building friendship between China and North Korea is for the sake of stability of Northeast Asia and for the benefit of all countries,” Lu said. Screenings and discussions at the University of Sydney by Korean Media and Culture Club. Every Wednesday at 5.00pm between 1 Sep. and 15 Sep. 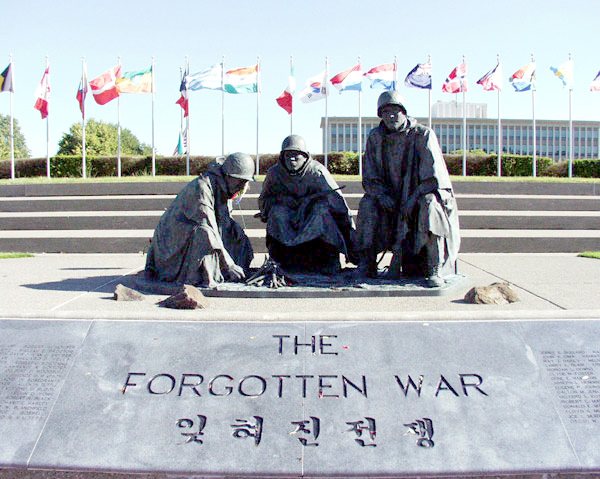 This year marks the 60th anniversary of the start of the Korean War (1950-1953), which resulted in over 4 million civilian and military deaths and a legacy that still poses a threat to global security today. Why do so few people know anything about this “forgotten War”? 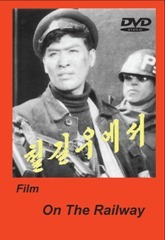 “Korean War in Film” is a joint initiative undertaken by the SLC Department of Korean Studies together with School of Philosophical and Historical Inquiry (SOPHI). Associate Professor Judith Keene, Dr Jane Park, and Dr Leonid Petrov will show how the Korean War was seen at the time through the eyes of communist and anti-communist film-makers. Among the films to be screened are the most successful Korean (North and South) and American blockbusters. Each film will be individually introduced and followed by a discussion on the nature of Korean conflict. The first round of Korean War in Film screenings at the University of Sydney took place in May 2010 and attracted much attention from students, researchers and the members of local Korean community. In Semester 2, the screenings will be conducted under the auspices of the Korean Media and Culture Club. KMCC is an informal club with the main goal to promote Korean culture through academic discussion on Korean media and culture within the University and to foster social interaction between people of similar interests through social activities including seminars and film screenings. Speakers: Associate Professor Judith Keene, Dr Jane Park, Dr Leonid Petrov. The full impact of brotherly love is shown in this touching Korean blockbuster that teams up superstars Jang Dong Gun and Won Bin. The film revolves around two brothers who are drafted into the army by force during the outbreak of the Korean War in the 50s. Jang Dong Gun plays Lee Jin Tae, a simple family man who makes every effort to excel in his duties in order to achieve an early release from the military services for his younger brother Jin Seok (Won Bin). 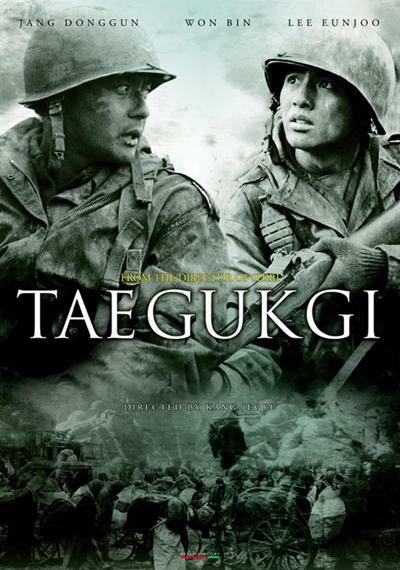 This US-made film about the Korean War is based on the eponymous book by military historian S. L. A. Marshall and depicts the fierce Battle of Pork Chop Hill between the U.S. Army’s 7th Infantry Division, and Chinese and Korean Communist forces at the tail end of the Korean War. 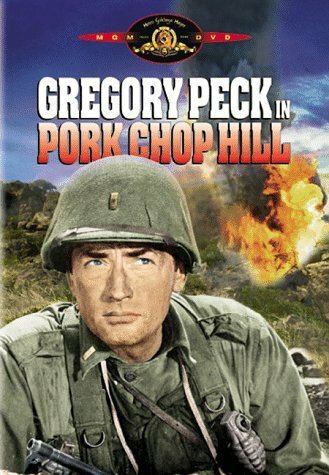 In April 1953, while the Panmunjeom cease-fire negotiations continued, a company of American infantry was to recapture Pork Chop Hill from a larger Communist Chinese army force. Successful but depleted, they were ready for the large-scale Chinese counter-attack which they knew would overwhelm and kill them in hand-to-hand fighting. One of the classics of North Korean cinematography, this film emulates the best examples of Soviet and Chinese film-making traditions. (Xinhua, August 24, 2010) The Democratic People’s Republic of Korea (DPRK) launched a website to introduce its pavilion at the 2010 Shanghai World Expo and the country’s history, culture and customs. 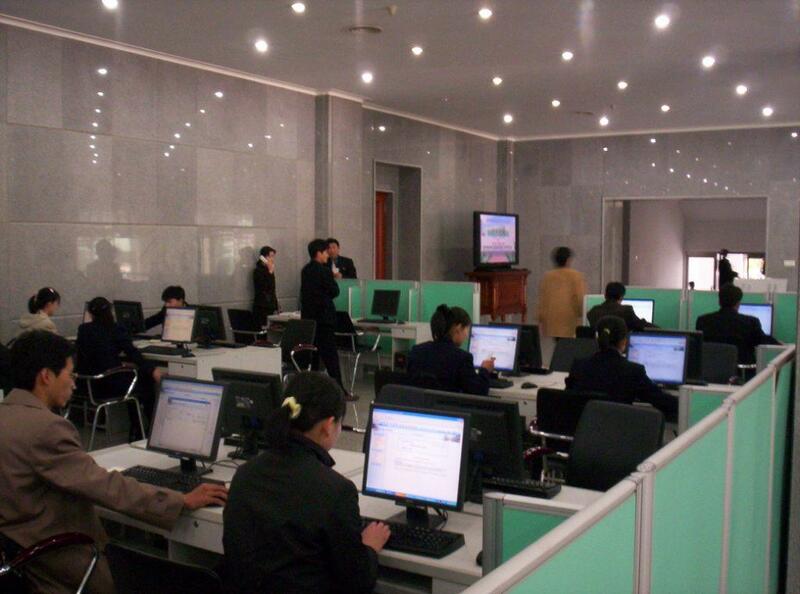 The website, www.expo2010-dprkorea.org, has video clips featuring historic sites such as the Tower of the Juche Idea, the Ulmil Pavilion and the Chilsong Gate, the official KCNA news agency reported. It also has videos of art performances such as the grand gymnastic and artistic show “A Li Lang,” operas “The Flower Girl” and “Sea of Blood.” Popular songs like “My Wife,” are also available, it said. The website also introduces local customs, as well as the mausoleum of Koryo founder Wang Kon, the Ryongthong Temple and the Sonjuk Bridge, and the popular Mounts Paektu, Kumgang, Myohyang and Chilbo. Sept. 6 will be the DPRK National Pavilion Day at the Shanghai Expo, the first World Expo that the DPRK takes part in. PYONGYANG, Aug. 21 (Xinhua) — Torrential downpours hit Sinuiju of the Democratic People’s Republic of Korea (DPRK) on Saturday, triggering heavy floods that submerged much of the city and causing huge property losses, the official news agency KCNA reported. The report did not say whether there were casualties. 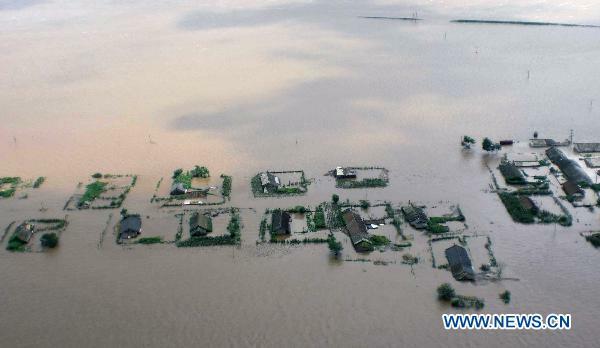 The Yalu River overflowed due to more than 300 mm overnight rainfall in areas around Lake Suphung and heavy rains in border areas of China, according to the KCNA. “All dwelling houses, public buildings and arable land in Sangdan, Hadan, and Taji ris of the city, Soho and Ojok ris of Uiju County and other rural communities around the city have been submerged,” it said. Army troops and local citizens in North Phyongan Province have turned out in rescue work, the report said. 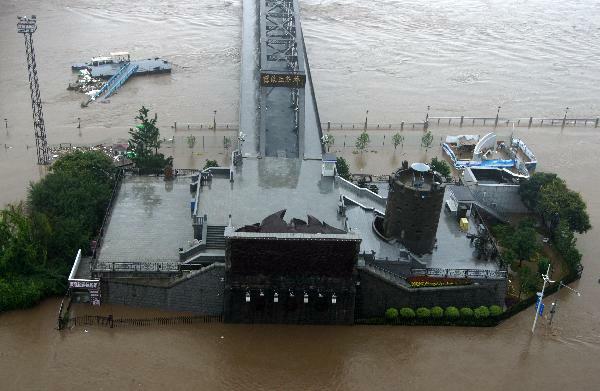 DANDONG, Liaoning, Aug. 22 (Xinhua) — Danger of a flooding Yalu River on the border of China and the Democratic People’s Republic of Korea (DPRK) still looms large as a new round of rainstorm is forecast to pelt Sunday the river basin. The flood-control headquarters in northeast Dandong City Sunday said although the river’s flow was at 8,000 cubic meters per second Sunday morning, down from a daily high of 27,000 cubic meters per second recorded on Saturday, the river course is still holding water at dangerous levels. More than 94,000 people in Dandong, Liaoning Province, by the Chinese side of the river have been evacuated by Sunday, according to the city’s flood-control headquarters. The local weather station forecast Sunday morning that rains measuring up to 250 millimeters would hit the city in the next 24 hours, posing a severe pressure on the flood control work. Downpours since Thursday have left four people dead and 44 townships flooded, many of which are suffering from black out and communications disruptions. The headquarters have monitored 158 embankment breaches along the swollen river. KOREA-VISION has learnt that the passenger train that left Pyongyang on 21 Aug. and was held up for 8 hours due to track repairing works around the Chinese station of Dandong has arrived in Beijing an hour ago. Pohjois-Koreassa lanseerattiin 3G-matkapuhelinverkko runsas vuosi sitten. Kuva Pjongjangin aukiolta syyskuussa 2009. Sulkeutuneesta Pohjois-Koreasta on viimein tullut matkapuhelinmaa. Pohjois-Korean ensimmäinen kaupallinen 3G-verkko alkoi toimia 2009. Runsaassa vuodessa kännykät ovat yleistyneet niin nopeasti, että käyttäjiä on jo 185 000, kertoo verkkoyhtiö Orascom. Egyptiläiseen yritysryppääseen kuuluva Orascom Telecom omistaa valtaosan Pohjois-Korean matkapuhelinverkkoa rakentavasta yrityksestä. Diktatuurisin ottein hallittu Pohjois-Korea salli kännykät ensi kertaa vuonna 2002. Matkapuhelimet kuitenkin kiellettiin nopeasti. Autoritaarinen hallinto ilmeisesti koki ne uhkaksi omalle asemalleen. Nyt uusi 3G-verkko on teknisesti saatavilla jo noin 60 prosentille pohjoiskorealaisista, Orascom sanoo. Maassa on noin 24 miljoonaa asukasta. Kännyköiden käyttö on kuitenkin rajoitettua Pohjois-Koreassa. Ulkomaille ei voi soittaa. Maan sisäisissäkin puheluissa on rajoituksia, joiden tarkoitus on ilmeisesti estää ihmisiä verkostoitumasta tai järjestäytymästä. Matkapuhelinliittymän hankkineet käyttäjät on jaettu ryhmiin yhteiskunnallisen aseman ja asuinpaikan mukaan, eikä käyttäjä voi aina soittaa toiseen ryhmään kuuluvalle ihmiselle. As September approaches, the number of analysts and experts forecasting that Kim Jong Eun will take on one or more positions at the core of the Central Committee of the Party at the 3rd Chosun Workers’ Party Delegates’ Conference is growing exponentially. 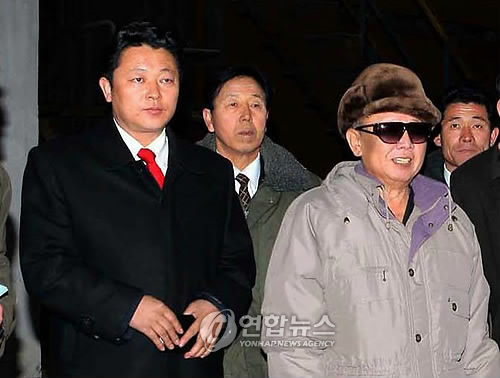 “The very rapid establishment of the succession system for Kim Jong Eun is deeply related to the unstable health condition of Kim Jong Il,” Cheong added. The Central Committee of the Party is the main practical political decision making and implementation body, and among member secretaries, ‘Organizing Secretary’ has the greatest power. Kim Jong Eun is allegedly already the de facto ‘Organizing Secretary’ covering matters like personnel and accompanying Kim Jong Il for his on-site guidance visits. “Kim Jong Eun will also become a member of the Politburo or ‘Member of the Standing Committee of the Politburo of the Central Committee of the Party’,” he went on. In addition, Cheong went on, the National Defense Commission and Party are likely to be more closely linked at the event, while some key associates of Kim Jong Il may see their power grow still further. “At the 3rd Chosun Workers’ Party Delegates’ Conference, there is a high possibility of candidate members of the Politburo being promoted to full membership, and of Jang Sung Taek, Director of the Ministry of Administration of the Chosun Workers’ Party, who serves a critical role in the establishment of the succession system, being elected chairman of the Politburo,” he said. For those who survived the Korean War, the sight of the nuclear-powered aircraft carrier George Washington leading a fleet of U.S. and South Korean ships along the eastern coast of the Korean Peninsula on the 57th anniversary of the temporary armistice is alarming indeed. In a move intended to punish North Korea for its alleged sinking of a South Korean warship, the Cheonan, the United States and South Korea are flexing their military might by mobilizing American and South Korean ships, over 200 aircraft, including the F-22 Raptor fighters, and 8,000 troops. If anything, the military provocation by all sides demonstrates the frailty of the Korean armistice agreement, which was signed by North Korea, China and the United States on July 27, 1953. It shows how much the absence of a peace treaty could trigger another war, not just between the two Koreas, but between the United States and China. To be clear, contrary to the rhetoric of promises of engagement emanating from the White House, President Barack Obama is continuing his predecessor’s hard-line policies of sanctions and military posturing. These have been counterproductive and have done nothing to reduce the risk of nuclear proliferation. Worse, they are actually increasing the chances of military conflict in northeast Asia. Secretary of State Hillary Rodham Clinton announced last week during a visit to the demilitarized zone that the United States plans to impose greater sanctions on North Korea. Although Secretary Clinton asserts that “[t]hese measures are not directed at the people of North Korea,” it is in fact the North Korean people who will suffer from U.S. sanctions. The freezing of North Korean assets, in particular, restricts the country’s ability to purchase the materials it needs to meet the basic food, healthcare, sanitation and educational needs of its people. Moreover, sanctions have not succeeded in pressuring North Korea to disarm. To the contrary, North Korea considers economic sanctions to be an act of war, and has responded by accelerating its nuclear weapons program. History has taught us that military posturing, such as the current military exercises, do not change North Korea’s policies. Instead, Pyongyang views the maneuvers as a test of its will, and has warned that it will counter them with “a physical response” of its own. Worse, Beijing now views the U.S.-South Korea military exercises as too close to its own shores and as a threat to China’s security and that of the region. The Obama administration should heed the U.N. Security Council by moving from the war room to the negotiating table. North Korea has agreed to return to the six-party talks. The Obama administration should do the same. As the former U.S. ambassador to South Korea James Laney put it, what should be “at the top of the agenda … in order to remove all unnecessary obstacles to progress … is the establishment of a peace treaty to replace the truce that has been in place since 1953.” Koreans on the peninsula and throughout the diaspora say 60 years of enmity and war is enough. As a Korean-American, I cannot ignore the heart-wrenching stories of family division, especially of those elderly people who may soon pass away without reuniting with their families. I don’t know a single Korean, either in the United States or in Korea, who isn’t deeply moved when they see siblings embrace for the first time in a half century. Our national leaders can continue to choose war and division or a path of peace and reconciliation. We must urge them to choose wisely. *Christine Ahn is a Senior Fellow with the Korea Policy Institute and a member of the National Campaign to End the Korean War. BEIJING/NEW YORK: After days of hesitation, the Pentagon has decided to send an aircraft carrier to the Yellow Sea in upcoming joint drills with the South Korea despite China’s strong objections, a Pentagon spokesman has said. Chinese scholars said the move is likely to draw a harsh response from Beijing, and cast a shadow over China’s already chilly military relations with the United States. Pentagon spokesman Geoff Morrell said on Thursday that the U.S. will send the USS George Washington supercarrier, which participated in last month’s joint drills between the U.S. and South Korea in the Sea of Japan, to the Yellow Sea for their upcoming exercise. He did not give specific dates for the exercise in the Yellow Sea and the Sea of Japan, but the Associated Press said he was referring to the joint annual exercise named “Ulchi Freedom Guardian” scheduled for Aug. 16 to 26.